Apple and Valve may be partnering with each other on a revolutionary video game console. An unconfirmed report surfaced yesterday saying that Apple CEO Tim Cook was spotted at Valve’s headquarters in Bellevue, Washington. Whenever Cook is spotted out and about, people take notice. The CEO of the world’s most valuable company doesn’t personally visit other tech companies to simply have a chat. 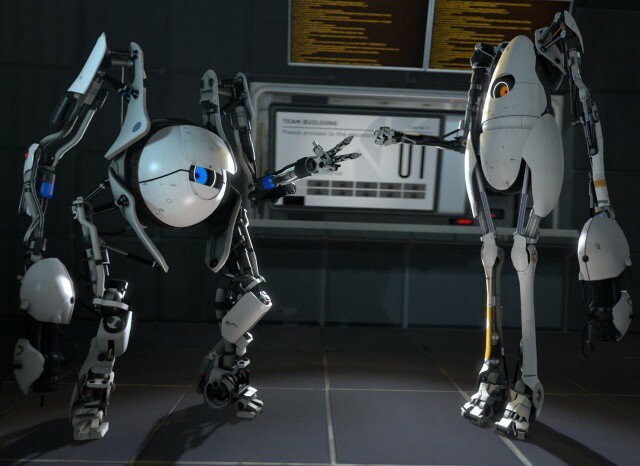 Many speculated as to why Cook would be visiting Valve, maker of popular game series like Half-Life, Team Fortress and Portal. Valve also boasts an incredibly robust online PC gaming platform called Steam that operates similarly to Apple’s App Store. We’ve gotten word that Cook was indeed at Valve yesterday, and what’s more, Apple is planning a full-on assault to take over the living room. This assault won’t just be limited to the long-rumored Apple HDTV set, but will also include a revolutionary home console as well. According to sources to Cult of Mac, Apple is working on a television set with an iTunes-integrated touch screen remote and Siri-like voice command technology. The TV set will be coming before the end of 2012. Rumors and patents have said as much for the past year, so that’s nothing new. But that’s not all we’ve heard. Our sources also say that Apple’s television set will come with an Apple-branded, Kinect-like video game console. The interface will rely heavily on motion and touch controls. If true, this wouldn’t be Cupertino’s first foray into the console market. Back in 1995, Apple collaborated with Bandai to product a Mac OS running home console called the Bandai Pippin back in 1995. Things were pretty disjointed at Apple back then, and the company was trying to regain its image under the leadership of Michael Spindler. Apple licensed the Pippin platform to Bandai for a console, but the market was already dominated by the PlayStation and Sega. The Pippin was priced too high to compete and Bandai ended up selling less than 50,000 units before shelving the project. Back to Valve. The gaming company makes Steam, a PC game distribution network with 30 million active users on both the PC and Mac. Steam is to gaming as iTunes is to music. Recent rumors have suggested that Valve is working on its own console dubbed the “Steam Box.” Instead of another Xbox or PlayStation, the hardware would serve as more of a standard that Valve would license to partners, much like the way Google handles Android in the smartphone space. Recent Valve job listings also indicate that the company is working on a mysterious hardware project. The Steam Box is rumored to feature biometrics technology in the form of a bracelet or wearable device for recognizing players. Well, if we have to sell hardware we will. We have no reason to believe we’re any good at it, it’s more we think that we need to continue to have innovation and if the only way to get these kind of projects started is by us going and developing and selling the hardware directly then that’s what we’ll do. It’s definitely not the first thought that crosses our mind; we’d rather hardware people that are good at manufacturing and distributing hardware do that. We think it’s important enough that if that’s what we end up having to do then that’s what we end up having to do. If there’s anyone that’s good at manufacturing and distributing hardware, it’s Apple. We don’t know the exact details of why Tim Cook met with Valve recently, but the two companies are obviously talking to one another. Based on what we’ve heard, it’s possible that Apple could be considering Valve as a partner for its entrance into living room gaming. We’ve reached out to both Valve and Apple for comment and will update this story if we receive a reply. Update: After declining to comment on this story, Valve co-founder Gabe Newell has now said that Tim Cook never visited his company. Our sources have again reiterated that Apple is continuing with its plans for a living room gaming presence regardless of Valve involvement.